A murderer who stabbed and chopped up a salesman then dumped his body parts is refusing to give details of his other victims, police have said. 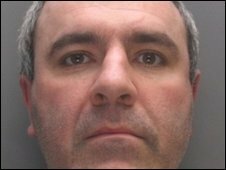 Stephen Marshall, 38, was jailed for life in February for the "jigsaw" murder of Jeffrey Howe, whose body was found scattered over two counties. He confessed in court to dismembering four other bodies during the 1990s. Officers have made attempts to speak to Marshall, who has refused to co-operate, Hertfordshire Police said. A spokeswoman added that Bedfordshire and Hertfordshire Major Crime Unit officers are continuing their investigations in liaison with the Metropolitan Police Service. Marshall changed his plea from not guilty to guilty at the end of the third week of his trial. 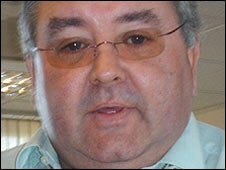 St Albans Crown Court heard Marshall, who had links to London's Adams crime family, cut up bodies in the 1990s. Shortly before he was sentenced, his barrister Peter Doyle QC said Marshall had explained to him how he dismembered the bodies of four unidentified men who had been killed earlier. Marshall was told he would serve a minimum of 36 years for murdering, dismembering and scattering the body parts of 49-year-old Mr Howe in March last year. Marshall's former girlfriend, Sarah Bush, 21, of no fixed address, was jailed for three years and nine months. She had helped dispose of Mr Howe's body parts across Leicestershire and Hertfordshire and gave false information about his whereabouts when police were investigating his disappearance. The pair took over his property, began helping themselves to money from his bank account and sold his belongings.